We hear this question almost everyday. Whether it’s from our league mates, people on other online games, or even from our friends we play with. We thought we could make a compiled list of most of the methods everyone knows, and some tips and advice that you may or may not have heard of on how to make money on Madden NFL Mobile. 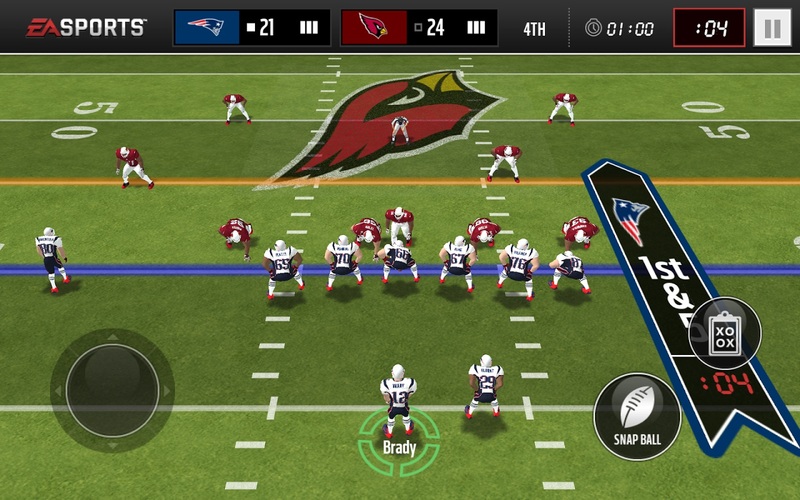 We also answer the question, if there are cheats for Madden NFL Mobile available. Basically anything that is an auction house method is going to be a “buy low/sell high” method (because that’s obviously the best way to make money). The best filters are ones you find or make yourself. We are sure you’ve heard this one many times. When we first heard it, it frustrated us to all hell. We just wanted one of those rich players to just give us only one filter. We understand now that had they told us, it would be barely any profit for us or them. Sammy Watkins 86 OVR: This filter is literally what it says. Sniping the GAMECHANGER Sammy Watkins can make a lot of profit, since you have to wade through all the totw Watkins. Our best snipe we’ve had with this filter is 100k buy/220k sell. Dri Archer 70 OVR MF: This is one of the filters we found (highly coveted when we couldn’t afford to buy the 100k+ players, like Watkins. Basically, depending on your server, you can snipe the Most Feared silver Dri Archer. Since he’s silver a lot of people don’t seem to understand he is worth 10k+. Another hidden benefit of this filter is that you can snipe the gold game changing one with it. Just set it to 70+ Dri Archer for a few K under his going rate on your server. Our best snipe was an 800 buy/12k sell. Captain Collectibles: This one is incredibly simple, but pretty common. With this one, you just want Elite Collectibles, and then whichever captain collectible you’d like to snipe. Very straight forward, just make sure you have a good 15k-20k gap in between the lowest selling collectible and the one you just sniped, or else it isn’t really a snipe, or worth your time. Our best snipe was a Tyrann Mathieu Collectible for 40k buy/90k sell. Week/Year collectibles: Another very common one. Just snipe the legend or year collectibles for around 20k under the going rate. The only thing to look out for is sniping the wrong collectible. For instance, with Deacon Jones and Walter Jones (which collectibles defer by about 50k price) might lose you a lot of money, if you aren’t careful about which one you want. With these filters, you just take the last name of the player and put “week” or “year” after it. So “Jones week” would work, but “Jones week 2” or “Deacon Jones Week” or “Deacon week” would NOT work. Our best snipe was when Munoz first came out, 60k buy/120k sell. Deion Method/Gold Players: In this method, you will be “scroll sniping”. This means not refreshing every 5 minutes and going for one snipe, but scrolling through tons of players to try to get as many as possible. With this method, you want to buy gold players for anywhere from 1500-1700. After you snipe them, you can either convert to trophies for LQS+Deion (not recommended) OR sell the silvers/golds (We tend to convert bronze trophies for convenience) and keep elite trophies for Deion. We haven’t done this method yet, but we have heard many success story from it, and that it can even profit you a little, and get you Deion! Don’t open pro packs: This goes without saying. No matter how much someone’s amazing pro pack pull is, or how many numbers MMG tells you, just don’t do it. It’s a risky method that was only good profit in August/September when golds/elites were much more. Weekends: Make Legends for your team OR make them and sell them! We cannot stress this enough. Today alone we went from 100k cash (after updating a lot of our team) to 700k, with even more updates! Do the math before you start sniping the collectibles, but they generally make about 50k-100k per set (other than older legends) If you wanted, you could even keep the player. Packs you don’t want to buy: This one is like the don’t buy pro packs tip. Premium packs (other than the free one of course), are buns. All-Pro packs are probably the baddest pack in the game. Legend Packs are a gamble, but we still find ourselfs making money sometimes (I.E. do what you want). Level Up! : This applies to higher levels much more, but when you hit prestige levels you will get about 10k coins per level up. This is just a side note but just remember that small cash out if you are close to leveling up. 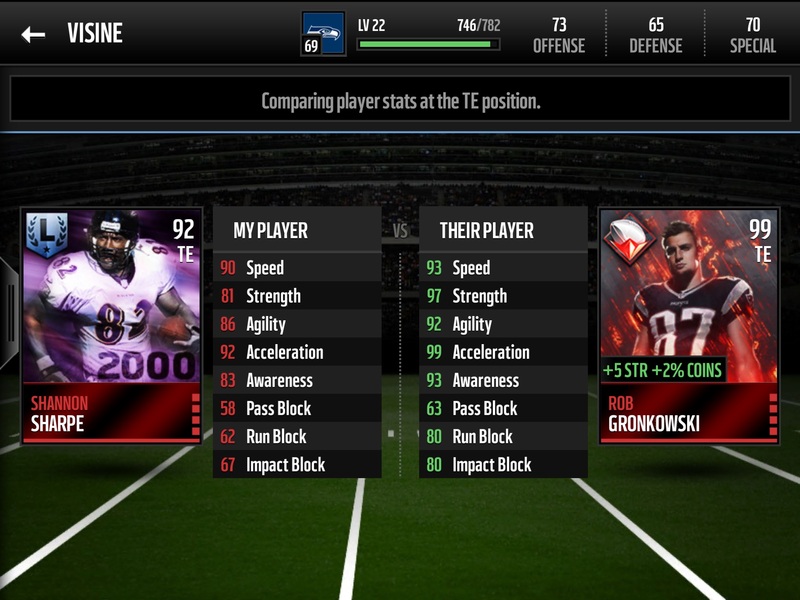 Are there cheat codes in Madden NFL Mobile? Let us now briefly talk about Madden NFL Mobile cheats. We are often asked whether there are cheat codes for the app. This does not exist, unfortunately, because Madden NFL Mobile is a Free2Play game, so you have to use real money to buy the premium currency. From time to time available on the Internet, are so-called hacks, with which one you should get unlimited premium items. These are not only illegal, but often hide viruses and Trojans that can do much damage to your phone or tablet. For this reason we do not recommend the use of so-called Madden NFL Mobile hacks or cheats. We hope this guide helped! We’ll edit anything if we notice a mistake, or you do. If you no some more tips on making money in Madden NFL Mobile, please leave a comment below. 2 Comments on "Money Making Guide for Madden NFL Mobile"